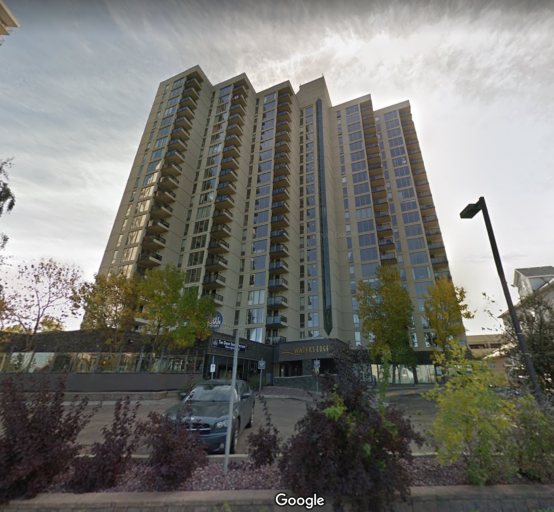 Located conveniently in Strathcona, this building offers premium access to the University of Alberta, Whyte Avenue and the Downtown Core. Plus the famous Edmonton River Valley is right across the street!! Truly an ideal location for students and professionals alike! The condo itself features laminate flooring throughout its open concept design. The spacious kitchen offers a fridge, stove and even a dishwasher combined with updated cupboards and plenty of counter space. There is even a large pantry!! The massive living room is perfect for any furniture combination and with its large windows is filled with natural light! It also leads out to the large balcony, which is perfect for enjoying the summer months! With two spacious bedrooms, two full baths and plenty of storage space, this unit is sure tom impress! Plus enjoy a fitness centre in the building as well as smart card laundry machines on each floor!